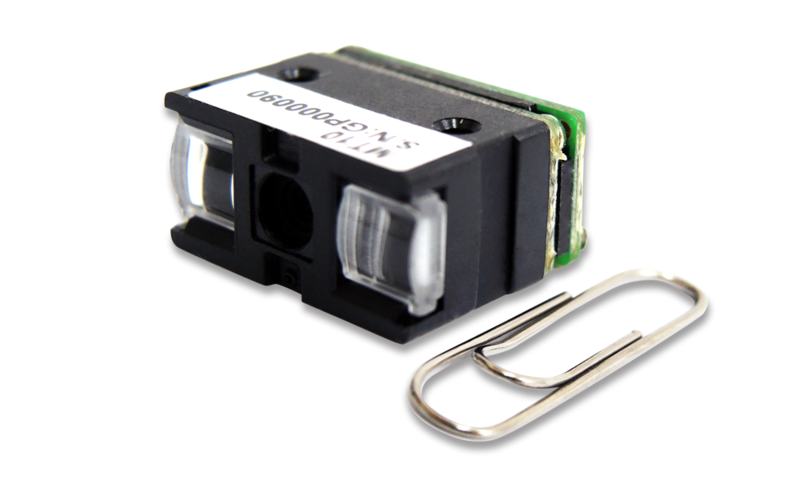 MT15 is an extremely miniaturized 1D scan engine that is designed to fit into the most space-constrained applications including mobile device, wearable device and smartphone. 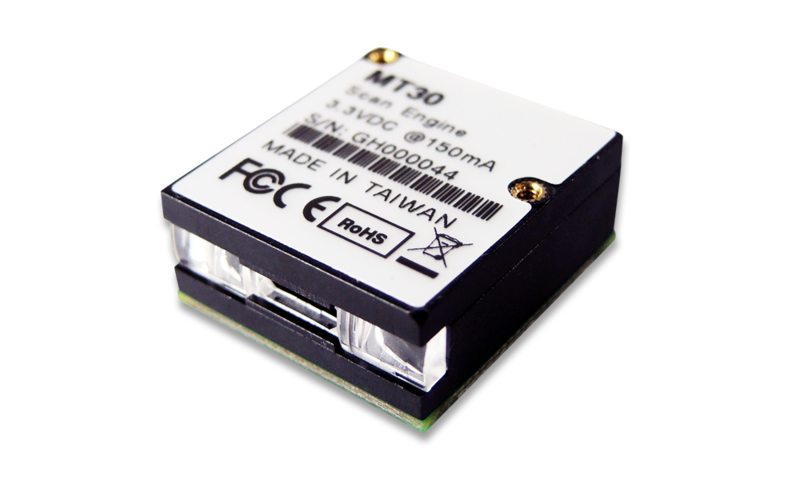 With 3.3V low voltage power supply and power consumption of a few micro amps during sleep mode, MT15 barcode scan engine is also ideal for host device with limited battery. MT15 scan engine is by far the smallest 1D barcode scan engine in the AIDC industry. With extraordinarily small size of W11.5 x L10.0 x H7.2 mm and the weight of less than 1 gram, MT15 can fit into the most space-constrained products, providing unparalleled flexibility for product design. MT15, with enhanced optical design and latest decode algorithm, virtually scans all 1D barcodes on any surface, either paper-based label or mobile phone display. With MT15 scan engine integrated into mobile device, users may expand their business into many new applications such as eCoupon, eTicket, Digital ID cards and mobile payments. With golden fingers for connection, MT15 scan engine can be firmly mounted on the host PCB with soldering, which not only increases mechanical reliability but reduces cost and risk incurred in installing flex cable and connector. The flash memory of MT15 serves as a flexible and upgradeable provision for additional requirements or performance enhancement and extends the product's lifecycle as well. MT15 scan engine automatically adjusts its parameters for optimal scanning performance which provides the freedom to scan barcodes from under complete darkness to direct sunlight. 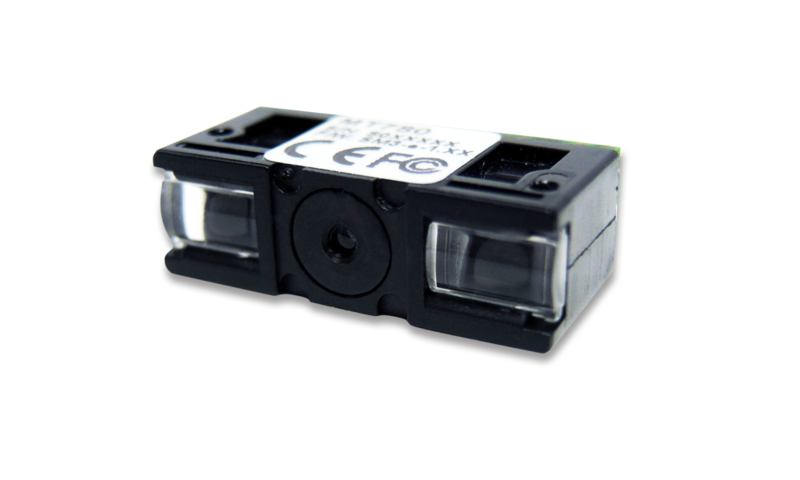 With configurable scan rate between auto-adaptive mode and fixed mode, MT15 is ideal for both high-speed scanning applications and smart devices which require more motion tolerance and ambient light immunity. A set of commands is supported to enable the host device to configure all the functions of MT15 thereby fulfilling dynamic configurations demand. To help user grasp and understand the bi-directional communication more quickly, the free Windows®-based BEO® configuration utility is provided as a user-friendly platform where testing MT15 scan engine can be done in a much easier way. MB100 Demo Kit (sold separately) provides the software and hardware tools required for testing MT15 before integrating it into the host device. The kit contains software utility, interface cables and MB100 Multi I/O board. 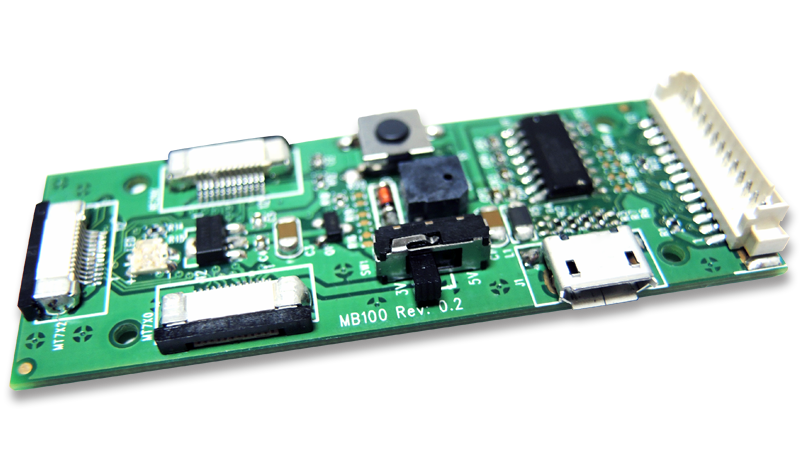 Due to its small size, MB100 is also suitable for being installed inside the host system as an interface board connecting MT15 scan engine to the host device.